← Maxinutrition Hockey 5s: Women’s Ones to Watch. One of the stars of the show in last year’s victorious campaign, the giant Czech is back for another season in goal for the Sussex side. East Grinstead score a lot of goals, but in indoor the difference is often your ability to keep the other side out. With Neusser in goal last season the team from Saint Hill conceded the fewest goals in the competition and they are in possession of that record again after the first weekend’s games. Neusser is lightning fast off his line, dominates the D, has great agility and reflexes and is an extremely imposing figure. 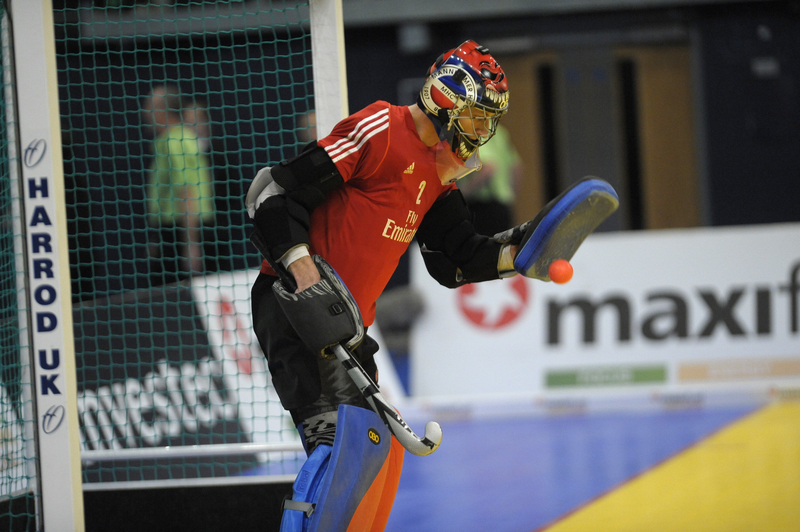 The Czech No.1 can lay claim to being the best indoor goalkeeper around and will no doubt be a key figure in the team from Saint Hill’s attempts to win the title yet again. With top scorers Simon Mantell and Tom Carson off to India to compete in the World League Final much of Reading’s creative flair falls on the shoulders of one of English hockey’s most naturally gifted players. Cheesman possesses electric pace, incredible close control and some outrageous individual skills. The former East Grinstead man is one of the most unpredictable players out there and with the switch from six to five-a-side allowing more space and more 1v1 duels he has just the right attributes to unlock any defence. Egerton, a semi-finalist in this competition last season with Beeston has returned to Bowdon-his first club, for the indoor campaign. He has been in splendid form out in Holland where he has scored 13 goals outdoor, firing his new club HGC into the top five of the Hoofdklasse. In the first weekend of the Maxinutrition Hockey 5s he showed everyone what he was capable of, scoring hat-tricks against Sevenoaks and Beeston and four against Doncaster. Bowdon are a very impressive unit but with Egerton’s power and ability to finish they are just that bit better. First and foremost, Browne is a phenomenal player, especially indoors. The Trinidadian is as strong as an ox, as competitive as they come, has incredible close control and individual skills but also scores more than his share of goals, scoring eight times in the first weekend. It is his influence in his role as coach; however that makes him even more important to the Kent side. Browne has that unique ability to affect the game from on or off the pitch. Captain Tom Richford praised his coach’s attention to detail and the meticulous way he had prepared his side tactically to cope with the new rules. If Canterbury are to make the semi-finals, their player-coach will have a big part to play. As one of the two non-National League sides in the competition many would be looking to Sevenoaks to slip out of the Premier League. However, the Kent side are currently in fifth place having picked up five points in the opening weekend. A major factor in those games was the form of veteran goalkeeper Giles Dakin. Dakin has of course, won this competition before, during his time at East Grinstead. Indeed he was in the squad for his first indoor final almost 20 years ago. To say he has experience is an understatement. With tough games coming up against East Grinstead, Reading, Canterbury and Beeston, Dakin’s ability to keep teams at bay as well as his experience will be vital in helping his team negotiate four very difficult opponents. With Holcombe’s other two biggest names, Dan Fox and Barry Middleton off to India for the World League Final, it is time for the remaining Great Britain international to take centre stage. Coultas showed some lovely play during the first weekend, using his power and vision to link up well with his teammates. Coultas is of course a handy weapon from penalty corners as well as being able to find the net from open play, too. With Holcombe’s attacking style in full effect, expect plenty of chances to come the former Cannock man’s way. 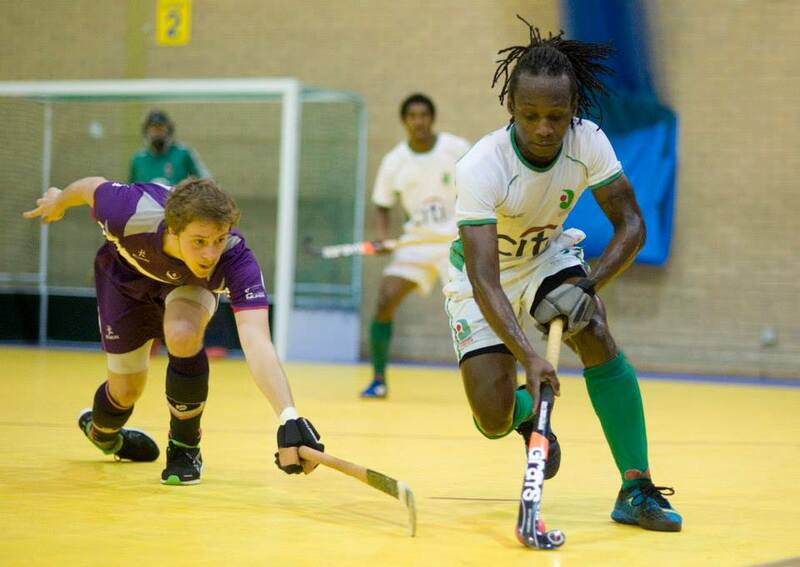 The league’s top scorer outdoors, Ward managed six goals in the first weekend indoors as Beeston finished on four points, behind Holcombe on goal difference. Ward is a natural goal scorer and a lively, dangerous presence in the final third. If Beeston are to mount a late charge for the semi-finals the former Loughborough Students striker’s goals will be the ones to fire them there. With the first weekend of the indoor season taking place during the Junior World Cup Loughborough’s squad was hit pretty hard leaving Griffiths and Dom Bowden as the pivotal figures in a small and inexperienced squad. Despite the Students’ struggles in the first week (no wins, two draws and two defeats) Griffiths showcased some incredible ability and scored some splendid goals. He linked up well with Bowden (both scored five times) and spurred his side on throughout, even when things looked bleak. With another four difficult games ahead, if Loughborough are to survive in the Premier League they will surely be looking to Griffiths to keep them there. Like Loughborough, Doncaster find themselves in a tough spot after week one, with one draw and three losses to their name. Doncaster, along with Sevenoaks are one of the two non-National League sides outdoor in the indoor Premier League. For many of them, they will not have played at this level before against players of this quality. By contrast, Smith has been there and done it, winning almost every domestic prize on offer during his career. With Doncaster scrapping to dig their way out of trouble, Smith’s experience will be pivotal in helping his teammates through some very challenging matches. If you’d like to find out more about the one’s to watch in the women’s competition, click here. You can also get all the information you need to know, including how to get tickets to the finals at Wembley by visiting the England Hockey Website.